While the idea of immigration embodies America’s rhetorical commitment to democracy, recent immigration control policies also showcase abysmal failures in democratic practice. Immigration and American Democracy examines these failures in terms of state sovereignty, neoliberalism, and surveillance-based techniques of social control. The ideological argument for privatization is not new. But immigration has provided a laboratory for replicating on American soil the sorts of outsourcing travesties that have occurred in America’s war in Iraq. As an outcome, abusive executive powers—many delegated to state and local governments and private actors—are manifested every day in data collection, spying, detention, and deportation hearings, and in many cases bypassing the Constitution. The practice of privatization extends this leviathan immigration state by clamping down on civil liberties without having to oblige the courts. 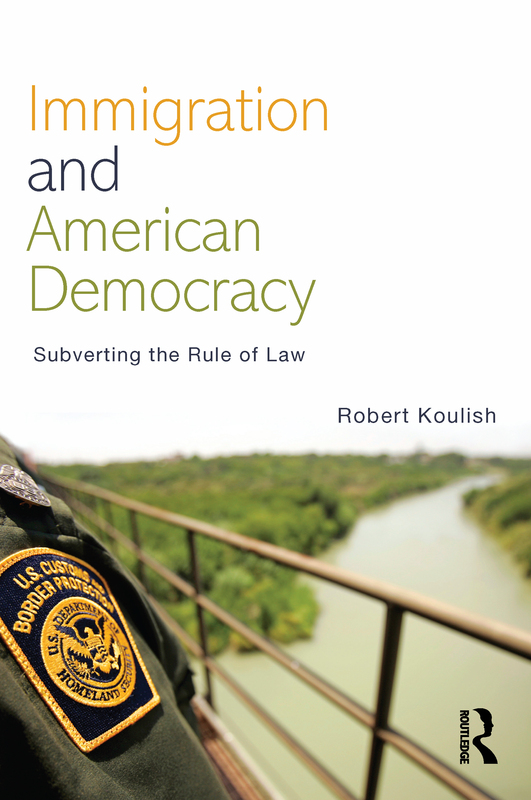 Ultimately, Koulish examines the contested terrain between democratic and undemocratic forces in the immigration policy domain and concludes with recommendations for how democratic forces might well still win out.